police officer see aliens at crop circle Sometime in October 2009 a strange incident occurred in a field in Silbury Hill. 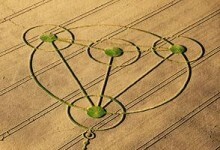 A police officer who was on duty to investigate the recent crop circles who had been produced there, was on . SETI is doing a great job, Lets hope they will find a alien signal soon. If you could email me with any tips about how you made this blog look this awesome, Id be appreciative. Bermuda Triangle & The Bruce Gernon Story Bruce Gernon is the only person in the world to witness what creates the Bermuda Triangle. Others have seen parts of this phenomenon and some have seen it but vanished. See our video, and visit .